What are the common movements your characters make? For PHOENIX RISING, I wanted to write a something different about the Anne Boleyn story. As an American, I knew there was no way I could compete with UK historians or fiction authors, so I looked for a way to take a very English story and giving it an American slant. PHOENIX RISING is the story of the last hour of Anne Boleyn’s life, as told by an astrology chart. The chart is explained by the contemporary American descendant of King Henry VIII’s physician, Lady Bliant, who drew the chart for the king in order to calculate the best time for the queen’s demise. The chart is broken down into the movement of various characters at court, based on the interpretation of the chart and the planetary aspects at that moment in time, 19 May 1536. Queen Anne Boleyn is going through various stages of shock, disbelief and hope. As we can all understand, looking back from this point in time. Unfortunately, little remains of her last weeks because Henry VIII had almost every vestige of her existence removed. I had to go on what was reported by Kingston from the Tower of London, and what was written by Chapyus to the Spanish King. I did find a few obscure folkloric references which stated that if someone could get an herb concoction placed in the wine of those awaiting beheading, it would act as a tranquilizer, and calm the victim. To me, that explained Queen Anne’s behavior in the Tower. History reports she would go from being completely manic, as we call it now, to surprisingly calm and even accepting of her fate. It doesn’t seem to far fetched really. Everyone knows that if someone could place gunpowder into a pocket of a burning victim, it would kill them before they were actually burned at the stake. Those were harsh, brutal times. Anyway, I digress. Anne went from being queen to being a prisoner in the Tower of London in a matter of hours. Within weeks she was tried and executed. Reports state that until the end of her life she comported herself as bravely as possible. She chose her clothes with precise and immaculate detail, as she always had. She meets death very much a Queen of England. Who are your five top antagonist? Talk about each one and what motivates them. PHOENIX RISING has the following antagonists. All are historical, although I have used a great deal of creative license in the story simply because we just don’t know, do we? King Henry VIII, is shown in a surprisingly different manner than the usual mode. Sir Francis Bryan is presented as wanting Queen Anne removed because he believes she has risen above her ranking, no longer serves the King’s wishes, but serves her own selfish needs and that Jane Seymour will give the king the male heir the king desires. I have him as Jane’s godfather in PHOENIX RISING, and feel this is true, based on the fact that she referred to him as her uncle. This remains a term of endearment in some English/British households for one’s godparent. Lady Jane Seymour is portrayed as ambitious and jealous of Queen Anne Boleyn. She feels she is the only person in England worthy to be Henry’s queen and give him a male heir. She was being fitted for her wedding dress at the time of Anne’s execution. This is historically accurate and I just don’t believe it reflects as a ‘nice’ person, now or five hundred years ago, do you? Chapuys is portrayed as a gossip more than a royal ambassador. The Court in general is an antagonist. We have to remember, they had no television or mode of entertainment therefore life was their spectacle. Generally, Anne was disliked–a great deal of the court favored the Princess Mary, and the court really didn’t know what to think about the king’s infatuation with Jane Seymour. I wanted the uncertainty, the unease of the court to be captured. Each character is captured in the last hour of Queen Anne Boleyn’s life. Some are happy, others aren’t. At this moment in history, there was so much weighing in the balance, wasn’t there? A Queen of England had never been executed. It gave me an ideal setting for an ensemble cast in a fictional story. There is so much we don’t know about that last hour. That is why I found it to be an ideal spot for fiction. I could allow my imagination to play with the characters and the setting. We can only imagine what happened in that last hour of Anne Boleyn’s life. There were plots, intrigues and conspiracies underway that played themselves out in that hour, week, month and even years later. Her execution left an impact on the English monarchy. I wanted to place the reader where a few of the key players, and a few fictional characters, might have been. Self-image is important in your characters, how is this important to your characters? It isn’t a stretch to say that Tudor England is a gold mine when it comes to grandiose individuals. Theatrics played a major part in the reign of the Tudors, and the members of the court. How they were seen and the legacy they left to the world may be a major reason why they remain so fascinating to us today. How do you/Or talk about how you flesh out the moment of greatest sorrow in your characters? PHOENIX RISING involves the readers; they get a glimpse into each character’s thoughts and motives. It’s based on a form of storytelling which makes the ‘audience’ part of the story and shows how everyone plays a part during their lifetime. From there, the narrator allows each character to give their story from their POV. A few characters are ready for the end of Queen Anne Boleyn, but I attempted to look into the emotional motives of all concerned. Talk about the courage and strength of your character. -and possibly the isolation your character may feel with these attributes. Phoenix Rising is brief. Think about an hour when your life changed and how quickly the time passed. I had to capture that in each individual. Each one had their own agenda at that moment which changed the course of England, and history, forever. There are as many answers to this question as there are characters in the story. In other words, this is a fantastic question. 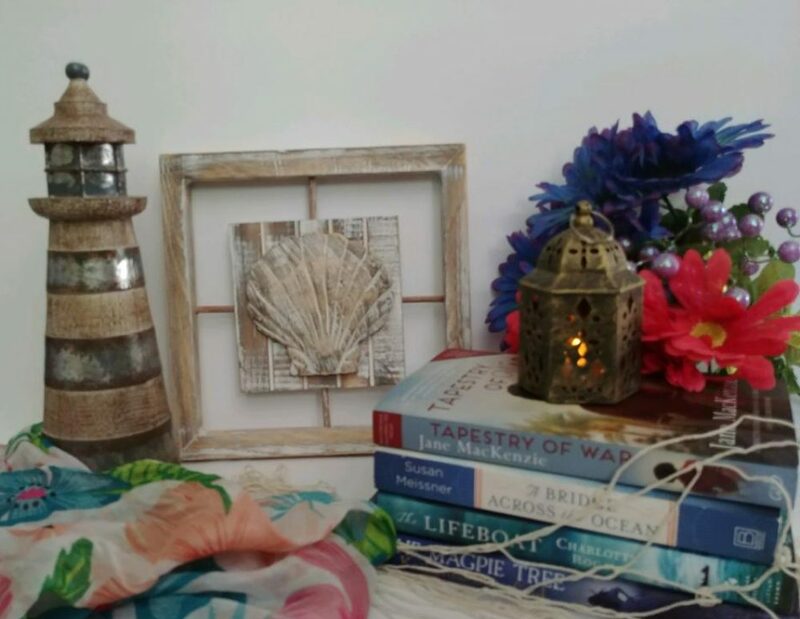 Thank you for featuring me on your blog today. As always, you are an absolute delight to work with. Deb Hunter writes fiction as Hunter S. Jones, publishing as an indie author, as well as through MadeGlobal Publishing. She is a member of the prestigious Society of Authors founded by Lord Tennyson, Historical Writers’ Association, Historical Novel Society, English Historical Fiction Authors, Atlanta Writers Club, Atlanta Writers Conference, Romance Writers of America (PAN member), and Rivendell Writers Colony which is associated with The University of the South. Originally from a Chattanooga, Tennessee, she graduated from a private university in Nashville and now lives in Atlanta, Georgia with her Scottish born husband. When the young and beautiful Catherine Howard becomes the fifth wife of the fifty-year-old King Henry VIII, she seems to be on top of the world. Yet her reign is destined to be brief and heartbreaking, as she is forced to do battle with enemies far more powerful and calculating than she could have ever anticipated in a court where one wrong move could mean her undoing. Wanting only love, Catherine is compelled to deny her heart’s desire in favor of her family’s ambition. But in so doing, she unwittingly gives those who sought to bring her down a most effective weapon, her own romantic past. 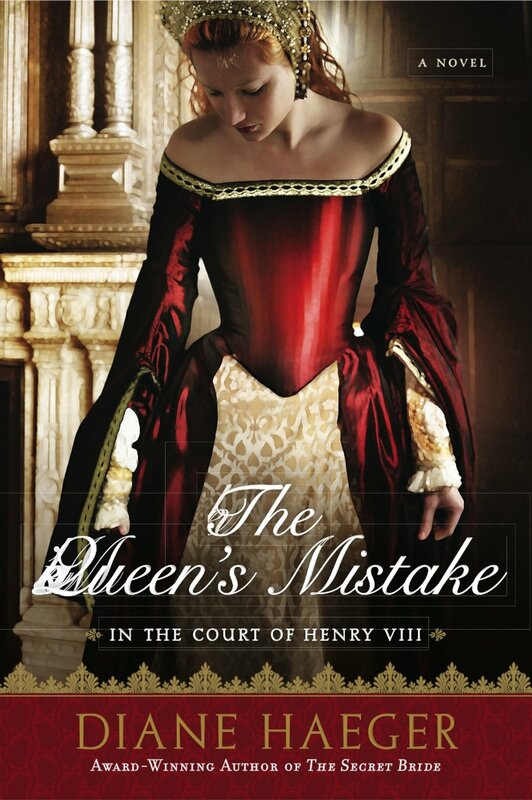 The Queen’s Mistake is the tragic tale of one passionate and idealistic woman who struggles to negotiate the intrigue of the court and the yearnings of her heart. Catherine stood in the courtyard of Horsham, putting on her riding gloves and gazing into the dry-lipped, scowling expression of her grandmother, who had come out grudgingly to bid her farewell. A cool breeze blew across the gently rolling terrain as Catherine curtsied properly to the woman who had been more keeper than relation. Catherine had an overwhelming urge to make a face just then or to say something spiteful in response. She had been aching to do that for years, and yet she had always been forced into compliance. It would be impossible not to understand your contempt of me, she thought. “I do,” she said instead. The report came tumbling out like marbles rolling across her tongue before she even knew what was happening. She stood frozen, but refused to drop her gaze from the dowager duchess’s cold stare. But this time Agnes would not dare to hit her, not when her soft skin and smooth face were the only chance in the world to regain the Howard standing. Catherine knew it and belligerently took full advantage. The silence stretched on. Catherine still did not break her gaze. She was not certain whether her grandmother meant Henry Manox or Francis Dereham. Suddenly, before she could say anything more, the old woman drew something from a pocket in her blue slashed bell sleeve. A ruby suspended from a silver chain glittered in the sunlight through the clouds as she held it out to Catherine. Her words fell away as she awkwardly offered the chain to Catherine. She reached out her hand and took the precious piece of the past her grandmother offered. She had so few things by which to remember her mother. There was no painted likeness, no letter. Only one linen-and-lace chemise had been left to her—one Catherine greedily guarded. Now there was this personal offering from a woman with whom she had felt no personal connection at all before now. As they stood near the entrance to the manor, a breeze whistled softly through the bough of evergreen trees above them. “Did she wear it?” Catherine’s voice was shallow, and she could barely force herself to speak. So at least it had touched her skin. It had been a part of her mother, Catherine thought. Not it offered a connection to the only time in her life when she had been the recipient of real affection. Catherine placed the necklace at her own throat and clasped it behind her neck without breaking with her grandmother’s gaze. She vowed she would always wear it to remind herself of what she had lost upon her mother’s death, when she was forced to this sheltered, verdant countryside. There had been no love or affection for her here, but she would try to find that again at court… If some courtier, suitable to her uncle’s purposes might actually come to love her. She had been training herself for a long time to find just that. Diane Haeger, who also writes as Anne Girard, is the author of 15 historical novels, most of them based on true stories from history. Her stories are drawn from a range of countries and eras including the French Renaissance, Georgian England, the American Civil War, to a series called In The Court of Henry VIII. Her most recent novel, Madame Picasso, details an early love affair in Paris between the famous artist and his muse. Her next novel, to be published later this year, is Platinum Doll, about 1930’s movie star Jean Harlow. 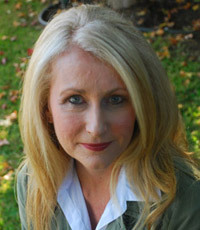 Haeger holds a bachelor’s degree in English literature and a master’s degree in clinical psychology. She lives in California with her husband and children.